The setting is pure Caribbean; gentle breezes, lovely tropical gardens and footsteps away from the lovely blue sea. Sorobon Beach Resort is nestled in one of the islands breeziest most secluded areas of the island yet only 8 miles to sleepy Kralendijk. I had lunch with friends. The restaurant is run by Veronique a lovely French woman with much island experience in the food service industry. My friend O’Neal is behind the bar. Our waitress was lovely. 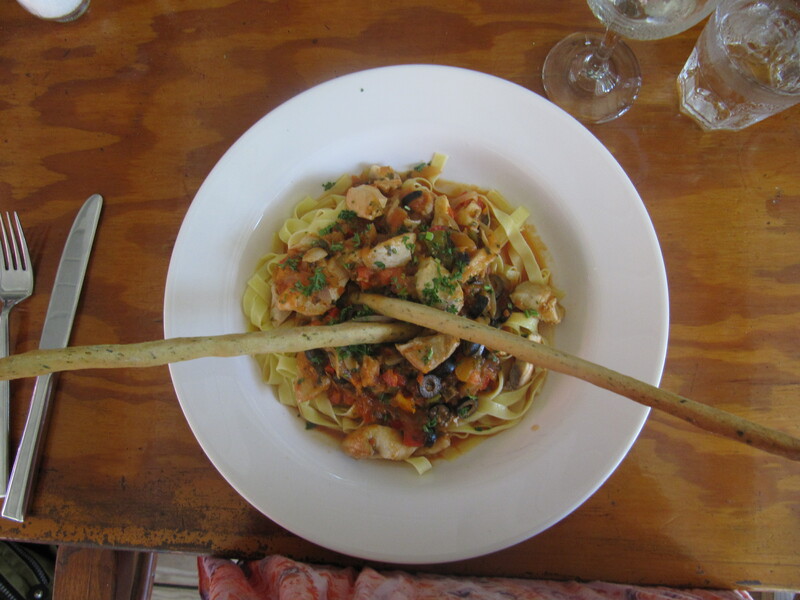 We chose the seafood pasta and a fish salad. 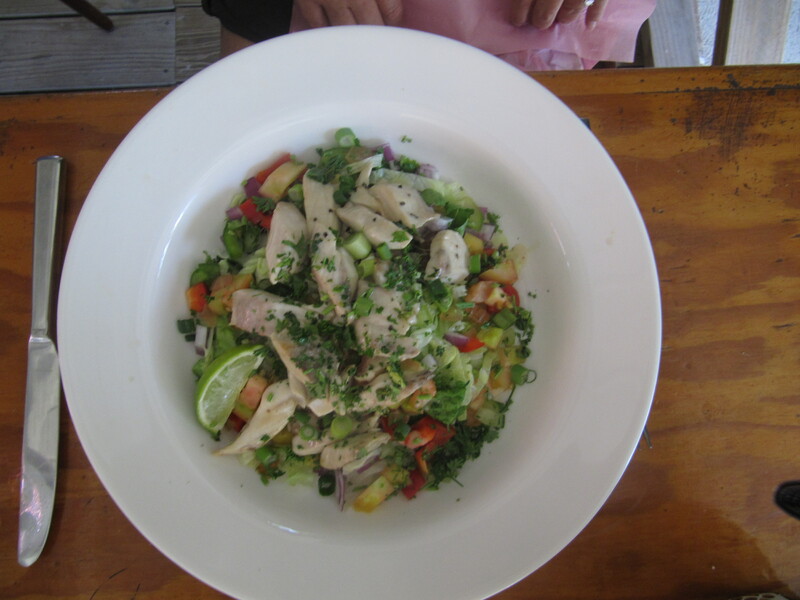 Both entrees featured freshly caught sustainable Wahoo and Mahi Mahi also called Dradu on our island. I had a crisp Savignon Blanc as well. It was a lovely lunch in a special spot. This entry was posted on March 17, 2011 at 1:37 pm and is filed under Food, Where to Stay. You can follow any responses to this entry through the RSS 2.0 feed. You can leave a response, or trackback from your own site.